This week on The Line, host Eli Sussman is joined in studio by chef Marco Canora of Hearth Restaurant, Brodo, and Zadie’s Oyster Room. In the more than a decade since Marco opened Hearth, the restaurant has become an enduring presence in the New York City dining scene, earning a strong local following, positive two-star reviews from The New York Times in both 2004 and 2013, and a prestigious “Outstanding Restaurant” nomination from the James Beard Foundation, regarded as one of the highest honors in the national restaurant industry. In January 2016, Marco reinvented the 12-year-old restaurant with a fresh new look and sharpened commitment to transparency and simple, clean food. The menu focuses on real food and nutrient density, offering quality fats, freshly milled grains, grass-fed butter and sustainable, local fish, all influenced by Marco’s Italian heritage. In 2016, Marco was nominated for the James Beard Foundation’s “Best Chef: New York City” award. 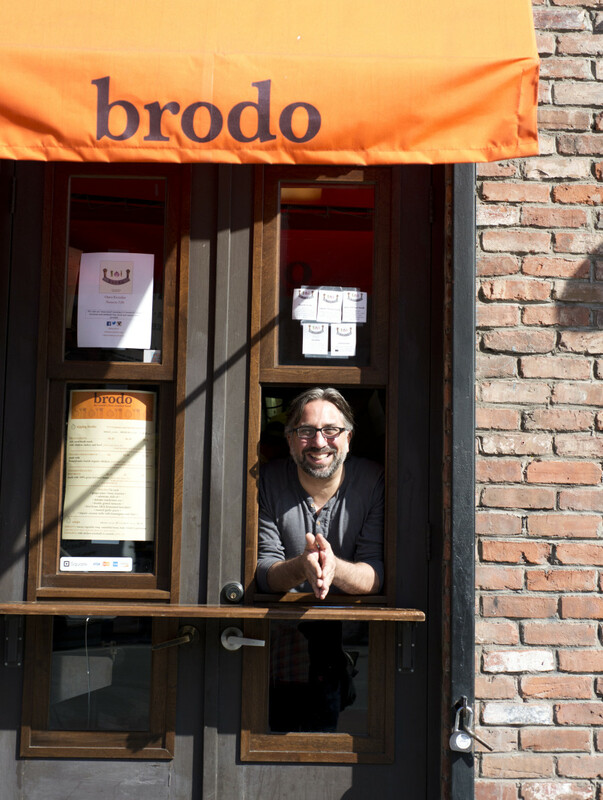 With a newfound dedication to mindful, nutritious eating, Marco opened his takeout window, Brodo, out of a side window at Hearth in November 2014, followed by a brick-and-mortar West Village location in November 2016. Brodo serves nourishing, sip-able bone broths in coffee cups with customizable add-ins such as ginger juice, freshly grated turmeric and quality fats such as butter and coconut oil, buzzed straight into the broth to create rich, frothy beverages. Marco has been recognized by many as a pioneer of the bone broth trend that continues to spread across the nation. In June 2016, Marco opened Zadie’s Oyster Room down the street from Hearth. His ode to New York’s turn of the century oyster houses, it offers a menu of seven different preparations of the bivalve along with wine, beer, cider and other shareable bites in a bright, airy space on 12th Street.